Although you may wish you could bring your pets everywhere when you travel, at times, it simply is not feasible. During the holidays, many people seek out the services of a pet care professional to ensure their pets are safe while they are away. There is no need to feel guilty about leaving your furry friends behind if you have the right person keeping them company. In-home pet sitting is a convenient solution to boarding your pet during the holidays. They are able to remain in the comfort of their own home, while you receive daily updates from your pet care professional. In order to find efficient coverage for your holiday plans, there are a few important aspects to consider when seeking in-home pet sitting during the holidays. These days, everyone considers their pet a part of the family. Many people choose a professional pet-sitting service over boarding their loved ones in a noisy and cold kennel. Therefore, planning ahead is essential to finding the proper professional for the holidays. Ideally, you should book 6 months in advance. The closer it gets to the holidays, the less availability you have—and rates may increase exponentially. 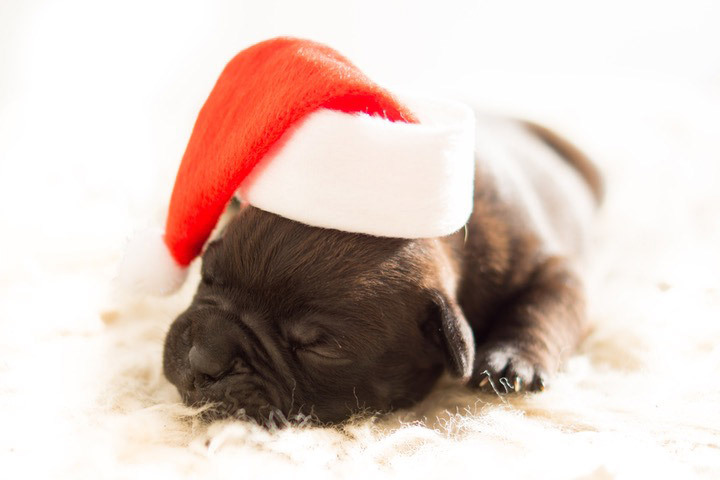 Although most pet care companies will allow you to book right up until the holiday, there are many other establishments that will cut off the reservations at the two month— and sometimes even three month—mark. The best rule of thumb is to never put it off or wait. The last thing you want to do is be stuck with plane tickets, and no one to watch your pet. For an animal that is accustomed to the comforts of their own home, kennels and boarding facilities are simply not an option. Therefore, scheduling at least 4 months in advance will ensure you have solidified plans when the holiday arrives. There are a variety of reasons why you may want to consider hiring a professional to watch your pet over the holidays. Unlike asking the neighbor or a friend, there are certain benefits to hiring a pro, that an untrained individual simply cannot provide. Pet care professionals have commitment, integrity, and a deep connection with animals. Ask any professional, and they will always tell you they do it for the love of them. A good pet sitting service will often go above and beyond simply watching your pet. They will engage them, play with them, and make sure they have stimulation. Whether it is cuddling, playing fetch in the yard, or taking a long walk, you can rest assured your pet is getting the optimum amount of attention while you are gone. One of the most important differences between hiring a pet care professional over a friend or family member is that they are trained and certified to account for the overall safety of your pet. Every professional should be First Aid and CPR certified for animals and should be recertified every 2 years. Another benefit to hiring a professional is that many are trained to administer medication. If your pet takes a daily prescription, or needs an insulin shot, your friends and family members may not have the knowledge to manage this correctly. Professional pet care services have the type of medical training that allows you to have peace of mind on your holiday travels. Many professional pet care providers are also insured and bonded by professional associations. There are two national agencies that are dedicated to training and certifying professionals in the pet care industry, The National Association of Professional Pet Sitters (NAPPS), or Pet Sitters International (PSI). Although these are not tasks that you are paying a pet care professional to perform, they are easy enough to accomplish while visiting your pet. At times, when asking a friend or family to watch your animal, it may be hard to ask for anything else. A true pro goes above and beyond; their ultimate goal is for you to enjoy your holiday trip. Another reason why it is important to plan ahead of time is because the rates for pet care professionals and pet sitting are almost always higher than their regular pricing on the holidays. That is because a professional is making sure your pet is safe and happy on a day that most people have off. It is critical that you have your plans set in stone prior to scheduling or making a reservation. That is because cancellations on a holiday usually result in a zero refund. Prior to a professional coming to your house for a holiday, an initial meet-and-greet should to be set up so you can introduce your pets, and the professional can interact in your presence. This serves a double purpose as you can see how the professional will be treating your animals. During the consultation, your pet’s behavior and temperament will be evaluated to determine if they are a suitable candidate for in-home pet sitting. Your needs can be discussed, and at this point, you may demonstrate your pet’s routine. Policies can be talked about and if it is a good fit, the holiday can be scheduled. Every pet is different, and your animal may require more or less attention depending on their temperament. There are three types of in-home pet sitting: visits, overnights, and away stays. Cats usually only require 1 visit every 24 hours, but dogs will need 3. The following are the differences between the three types of care, and why one may work for you better than the other. Visits: This type of interaction is aimed to eliminate stress and keep the pet engaged. Depending on your animal, a professional may be at your home up to three times a day to ensure your pet is taken good care of. During these visits, pet care professionals can also perform minor tasks, like watering the plants and feeding fish. Overnights: Some pets may have severe separation anxiety. In this case, an overnight (in-home) stay may be the best choice for your pet. Overnight stays are usually for the duration of 12 hours, and begin anywhere from 7-10 p.m.
During this timeframe, a pet care professional will be expected to walk your dog at least twice. Your animal may need additional visitations during the day, but the overnight is designed to make them feel safe at night. An extra benefit is that there is a live person in your house, while you’re on holiday vacation. That level of security is unparalleled. Away Stays: It may be that you are somewhere in the middle between boarding in a kennel and in-home pet sitting. A third option is to allow your pet to spend their time at a pet care professional’s house. This serves as the ultimate form of attention for your pet, as the pro is temporarily adopting them—so you can enjoy your vacation. This is an option that may not work well on many pets, and not at all for some others. Birds should never be transferred, and cats are most likely better off remaining in their home environment. Dogs, however, are attention-seeking pets, and require a level of care greater than any other animal. Thus, some may be a good candidate to stay in the home of a pro. The majority of pet owners will most likely opt for the day visits, but overnights are always a good choice for pets that are highly anxious. During the initial consultation, you will be able to see how well a pet care professional can calm them down, prior to scheduling anything. Overall, the least healthy environment for an animal is a kennel. Remaining in close quarters increases the chances of communicable diseases. Additionally, your pet may be confused and stressed (and you may even be thinking about them your entire holiday vacation). The most comfortable and calming environment for your pet will always be their own home. Plan ahead for the holidays, and make sure your pet is in a safe environment with a loving and trained professional. In-home pet sitting is a gesture that shows your pet that you hope they have a happy holiday as well! Contact Paw Pals today to learn more about holiday pet sitting!